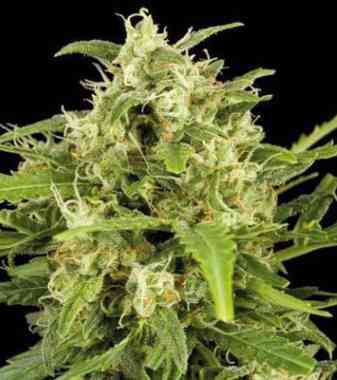 We have crossed Nirvana Haze with Northern Light to produce a heavier set marijuana plant. This classic F1 cannabis hybrid will still reach great heights, yet dense Northern Light-style buds form on its tall stems. The bud leaves are a bright lime green. As with any Haze hybrid, this strain of marijuana does require some attention and patience. Sterling Haze smoke has that familiar sweet-and-sour haze-y taste and produces a stony yet uppy high.